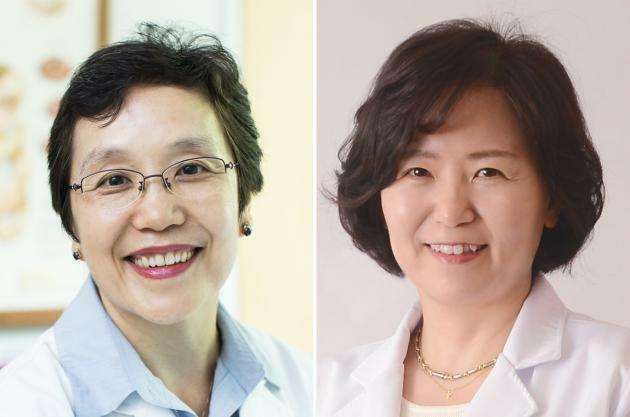 Researchers at Seoul National University Bundang Hospital have discovered that Helicobacter pylori (H. pylori), a bacterium in the gastrointestinal mucosa, can increase the risk of metabolic syndrome. People with metabolic syndrome tend to have a clustering of at least three of the five medical conditions -- abdominal obesity, hyperglycemia, hypertension, hypertriglyceridemia, and low HDL cholesterol. The prevalence of domestic metabolic syndrome was 19.6 to 24.9 percent in 1998, but it increased to 28.9 to 30.5 percent in 2013. Such an increase in metabolic syndromes has also helped boost the risk of cardiovascular disease, diabetes and other serious illness without self-awareness. The team, led by Professor Kim Na-young at the hospital, examined the prevalence of H. pylori infection and metabolic syndrome among 21,106 people 16 years or older who visited 10 university hospitals and health screening centers nationwide. Professor Im Sun-hee from the Seoul National University Hospital Healthcare System Gangnam Center also participated in the research. As a result, the team found that 43.2 percent of the patients, who had no experience of microorganism eradication treatment, tested positive H. pylori positive organism. Of the 15,195 respondents, 23.7 percent also had metabolic syndrome. The team found metabolic syndrome in 27.2 percent of H. pylori-infected group, which was significantly higher than 21.0 percent of the non-infected group. It also confirmed that H. pylori infections could increase the risk of metabolic syndrome 1.2 times for patients below the age of 65, even after adjusting for factors such as gender, age, body mass index, residence, household income, and education. There is also a hypothesis that a change in insulin receptors can lead to a failure of cells to accept blood sugar and thus increase the risk of metabolic syndrome, she added. While the team found an association between H. pylori infection and metabolic syndrome for patients less than 65 years of age, they did not discover any connection between the two for patients over the age of 65. The researchers concluded that chronic diseases such as hypertension, diabetes, and hyperlipidemia, which are factors other than Helicobacter pylori, are more likely to affect metabolic syndrome for such patients.